Innovation and creativity delivers you the best storage system for your business. BHD achieves this by adding value, driving out waste, and maximising valuable warehousing space. The quality of your racking system can have a significant impact on your storage capabilities. Poor designs make it difficult to access items, leading to a disorganised environment where capacity and productivity are affected. Fortunately, the team at BHD Storage Solutions can provide warehouse racking design services that focus on innovation and creativity. Our specialists aim to deliver the best tailored storage systems for your business. We achieve this by adding value and driving out waste where possible. The ultimate goal of our warehouse racking design services is maximising your valuable warehousing space. Whether you want to expand your storage space or make more efficient use of existing space, we can formulate a tailored solution that works best for you. BHD Storage Solutions works closely with your business to ensure your configuration, racking design, and layout incorporate various principles. These include growth potential, safety, traffic flow, and ultimate storage capacity for your product and warehouse logistics. We specialise in providing unique solutions across Australia that cater for individual requirements, ensuring the most efficient outcome is achieved for your business strategy. Cantilever racking and shelving systems – A cost-effective storage solution for warehouses in Australia needing to store long, bulky or irregularly shaped products, such as pipes, wooden planks, tubing and more. Shuttle racking systems – A high-density form of storage using a pallet shuttle cart to simplify loading and unloading. These systems can reduce costs, save time and boost productivity. 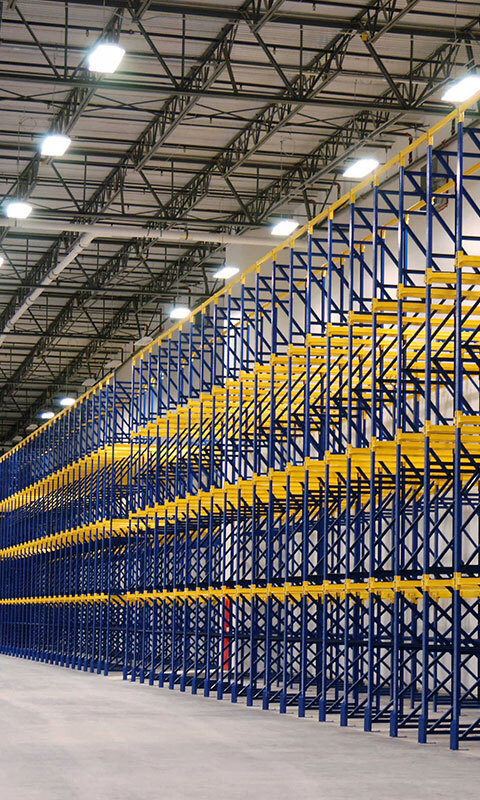 Mobile racking systems – A mobile storage solution that’s mounted onto mobile bases, allowing for racking to be rearranged with ease to form new access aisles. Pallet racking – A storage system that stores items on top of wooden pallets. Our available types of pallet racking include selective systems to improve efficiency of supply chain management, drive in pallet racking to ensure safe and simple placement of stock, and carton picking systems that are ideal for warehouses with high stock rotation. And more – Other solutions we can provide for warehouses in Melbourne, Sydney and Australia wide include pigeon hole racking, light duty cantilever racking, vertical racking and tyre racking. To take advantage of our warehouse racking design services in Melbourne, Sydney and greater Australia, get in touch with us today. We’re happy to discuss your needs and recommend the most suitable solutions for your warehouse.